The perfectly preserved baroque UNESCO World Heritage listed old walled city is surrounded by cliffs and hillsides behind it and beaches to its side. It is considered one of the top ten surviving walled cities in the world. 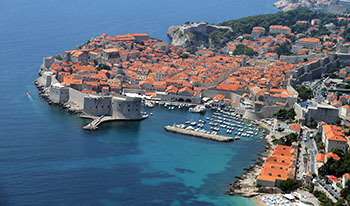 As it has the Adriatic Sea on three sides, it is nearly impenetrable to invaders, which is why the old city survives today virtually unchanged since the 7th century. The exception, of course, was in the 1970’s when it was under siege for seven months by the Yugoslav People’s Army and sustained significant mortar damage, still in evidence today. The latest archaeological evidence suggests that there may have been a port and a settlement here during the heyday of Greek explorations several hundred years before Christ, so the city is older than previously thought. As a port of call, it has become particularly popular with cruise lines because of its historic significance and truly striking appearance. 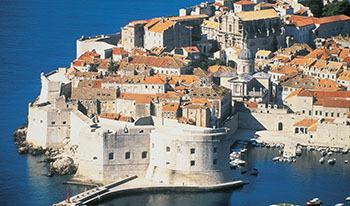 In fact, Lord Byron once called Dubrovnik the ‘Pearl of the Adriatic’. For those who arrive by way of a small cruise ship, it might be docked right outside of the city in the Old Harbour with direct access to Dubrovnik. 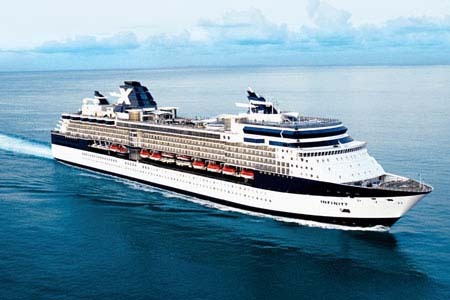 Alternatively a larger cruise liner will nestle into the cruise terminal which is only about three miles away. With regular buses and shuttles that provide transportation to the city, the access is still excellent. As well as loads of activities in and around the city, the old town of Dubrovnik has much to offer with much to keep visitors entertained and engaged. First and foremost, there are guided tours available that to take fans to all the Game of Thrones hot spots. 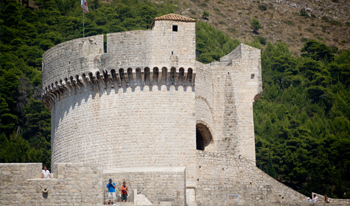 This includes Lovrijenac Fortress - the daunting eleventh century castle tower that is known as the Red Keep – which is just outside the city walls. Walking tours of the city begin at Onofrio’s Water Fountain which has provided water for the residents of the old city of Dubrovnik for centuries. It is located just inside the Pile Gate and there is no need to book in advance. The tourist office (PILE, Brsalje 5) even publishes a map that highlights the locations of the Targaryens, the Baratheons and the Starks adventures. The office is open from 8:00am-8:00pm Monday to Friday and 8:00am-9:00pm from June to September. Visitors can also walk the city walls on their own using an audio guide and get acquainted with the history of the old Republic of Ragusa. Atop the city walls, visitors are afforded spectacular views of the inside of the city as well as of the Adriatic Sea that surrounds it. The best place to see the walled city is from Mount Srđ by cable car. The old Napoleonic-era fort built in 1812, Fort Imperial, stares down from the top of the mountain offering incredible views. This bastion proved critical to the survival of the city in the early 1990s when war with neighbouring countries had broken out. A glitzy cable car now whizzes cruise ship passengers up to the cafe at the top where you can sip on a coffee or imbibe one of the local brews. As far as eating, Dubrovnik has everything from fine dining options to local cafes and even kiosks for grabbing a drink and a snack. The little gelato stand near Onofrio’s water fountain always seems to be busy. In fact, gelato and other types of Italian food are generally very good in Dubrovnik. A leftover influence from the days of Venetian occupation. Croatian cuisine, generally, has been influenced by many centuries of Italian occupation and is Mediterranean in style. Dishes from the north are denser and heavier and thought to have been influenced by Austria and Hungary. Perhaps one of the best places to have a drink is at the Buža Bar. Buža means ‘hole’ in Croatian and you quite literally have to climb through a large hole to access it. 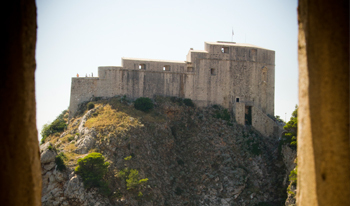 Its entrance is located at the foot of the southern walls of the city and can be reached by following the street behind Dubrovnik Cathedral (Ulica Ispod Mira 5). Once inside, the views out to the Adriatic are breath-taking. There are a whole variety of bars and lounges on the beach just outside the city walls. Great for relaxing with an espresso or something stronger. Try the EastWest Banje Beach Club if you want to be seen with the hip set. The Oyster and Sushi Bar Bota in the old town (Od Pustijerne b.b.) is not only quaint but serves up oysters from the local Ston region. Sushi here is fresh and good quality but it is the oysters that are exceptional. Because of the clean water, Ston oysters are considered some of the best. Even local roadside stands sell these oysters for as little as 6 Kuna each. Overlooking Gruz Bay is the very elegant Kazbek Hotel (LAPADSKA OBALA 25) housed in what was formerly a castle. It boasts two dining rooms and cocktail bar and specialises in traditional Croatian cuisine using fresh local produce. Dishes you might want to try are the Istrian pasta with asparagus and black truffles, lamb skewers with mint sauce, Medjimurska Gibanica - Traditional Croatian walnut, poppy and fresh cheese pie or Pag cheese. Yum! First and foremost, Dubrovnik is world famous for its men’s ties also known in Croatia as a ‘cravat’. Men’s neckwear has been around since Roman times but its modern use goes back nearly four hundred years to the 1600s when Croatians wore them as part of their uniform. The Parisians saw the small knotted neckerchiefs and named them after the people wearing them; the French word for ‘Croates’ morphed into ‘Cravate’ or Cravat. Shops outside of the city gates at Pile stock all colours of ties for purchase and you can find them in the old city as well. For practical purchases, look for kiosks branded ‘Tisaks’ which can be found near train, bus and ferry terminals. Here you can purchase postcards and also newspapers, cigarettes and lighters, sunglasses, sweets, soft drinks and chocolate. Phone cards, batteries, mobile phone recharges and local bus tickets are also for sale. These kiosks are usually closed on a Sunday. There are many other handmade Croatian trinkets that make wonderful souvenirs. Red seems to be the favourite colour for these small hand-made items and baubles so they are often marketed as Christmas decorations. Little papier-mâché hearts adorn many of the shop fronts and there are all sorts of shapes in a multitude of sizes. Woollen bedroom slippers/shoes are comfortable, practical and decorated with hand embroidery. There are hand embroidered blouses for women as well. Not only are there traditional crafts on sale but also artwork and paintings. Antique shops are on the increase and there are numerous galleries in the old city worth visiting. Outdoor markets not far from the old city are where local farmers sell their fresh produce. Many of the farmer’s also sell their homemade cheese, wine or spirits. The packaging may be basic but the quality is excellent. These markets are usually about food but also have a limited supply of clothing, shoes and sunglasses to purchase. Don’t forget to pop into the supermarket for good value Croatian food. Olives and other local products are frequently vacuum packed these days and, therefore, easy to pack and take home. Cheese is transportable within the European Union though cannot be taken elsewhere. And look for toiletries made from natural ingredients such as olive oil and local herbs. During the tourist - summer season, shops can be open seven days a week from 8:00am until midnight. But the rest of the year, shops will be closed on a Sunday and hours are significantly curtailed. Kayaking in the crystalline waters of Croatia’s coastline or inland lakes, especially on a summer day, can be cool and invigorating. Just 10 km north of Dubrovnik, Zaton Bay is a place of natural beauty and tranquillity and perfect for kayaking. The deep bay, surrounded by mountain ridges, offers calm waters and natural protection from Dalmatia’s characteristic coastal winds and motor boat traffic that surrounds the Old City. Check out Adriatic Kayak Tours for a selection of times. Tours originate at the Adriatic Kayak Tours office (Zrinsko Frankopanska 6). Stand up paddle boarding is the ultimate way to explore the rich coastline around Dubrovnik and a great way to see the Old City's majestic walls from a different perspective. Paddle to a beach, explore a cave, discover a private cove, or simply escape Dubrovnik’s crowded streets. Calm seas and fascinating sights make Dubrovnik a paddling paradise. Beginners can easily be accommodated in this sport. Tours originate at the Adriatic Kayak Tours office (Zrinsko Frankopanska 6). Paddle board rentals use for a ½ day costs approximately 225Kn / €30 / US$39. Hiking is another great way to enjoy the countryside near the city. Once you are off the beaten track, the hills might be a challenge so be prepared with proper hiking footwear. Be sure to carry water with you as this is a thirsty activity. Experienced hikers take on Mount Srđ which at 512 metres offers fantastic views but, if you prefer to hike with a group or at a more moderate level, then sign up for an excursion. 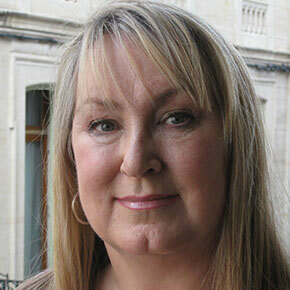 Dubrovnik has become renowned in a relatively short time frame for its annual International Film Festival. Held in late June or early July every year, the Libertas Film Festival is a one week long celebration of film from all over the world. It features a number of outdoor screenings at various locations inside the walled city. The Libertas Film Festival was first held in 2004 and has grown in popularity exponentially ever since. From May and through to October, the folklore ensemble Lindjo perform in the city (with special performances during the Summer Festival). 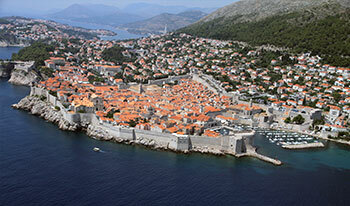 A tradition specific to Dubrovnik, the dance ensemble have been performing here for over 40 years. 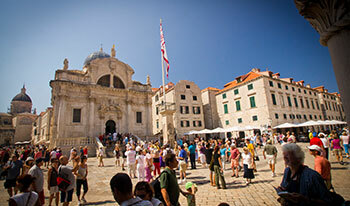 One of Croatia’s most famous events is the Dubrovnik Summer Festival which takes place from mid-July to mid-August. Each year, the enormously popular festival includes theatre, opera, music performances and dance events at various open-air venues around the city. The Maraton Ladja is an annual race that takes place in August on a 22.5km long portion of the Neretva River from Metkovic to Ploce (just north of Dubrovnik). A ‘ladja’ is a traditional type of boat that has been used for centuries on the narrow Neretva River; many of the river craft used in the race are vintage vessels that have been refurbished. Crews are assembled from among local citizens and can be made up of up to 18 people, including a cox and a drummer. The Dubrovnik International Wine and Jazz Festival takes place annually at the end of September. In partnership with the Vancouver Wine & Jazz Festival, this week long event showcases world-class artists from across the jazz spectrum, coupled with a selection of top quality Croatian wines. 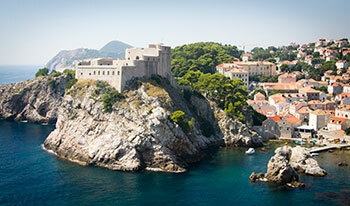 Dubrovnik is a ‘not to be missed’ destination offering tours, historic stories, shopping and activities. There is always something to do and learn in this truly interesting corner of the world.